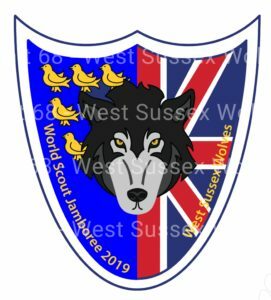 We are pleased to announce that the West Sussex Wolves Unit Badges are now ready to order using the form below. These badges cannot be worn anyone except the unit members, but make a great camp blanket collection addition. In purchasing these badges you are helping to raise money for the unit. In addition to the standard unit badge, we are also selling a small number of limited edition versions that have a rainbow border. Unit members, please do not use this form, please contact the unit leader team directly.